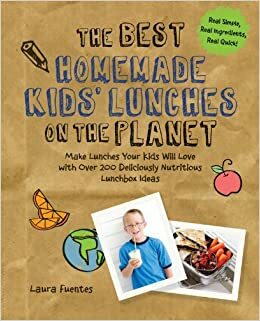 Laura Fuentes, creator of the MOMables lunch menu planning service has just released a new book, The Best Homemade Kids' Lunches on the Planet! From what I've seen so far, reading all the advice bits at the beginning and looking through all the recipes (and even trying a few,) this book lives up to its title! In addition to getting a copy to review after it was released (woot!) I got to test-cook one of the recipes months ago! 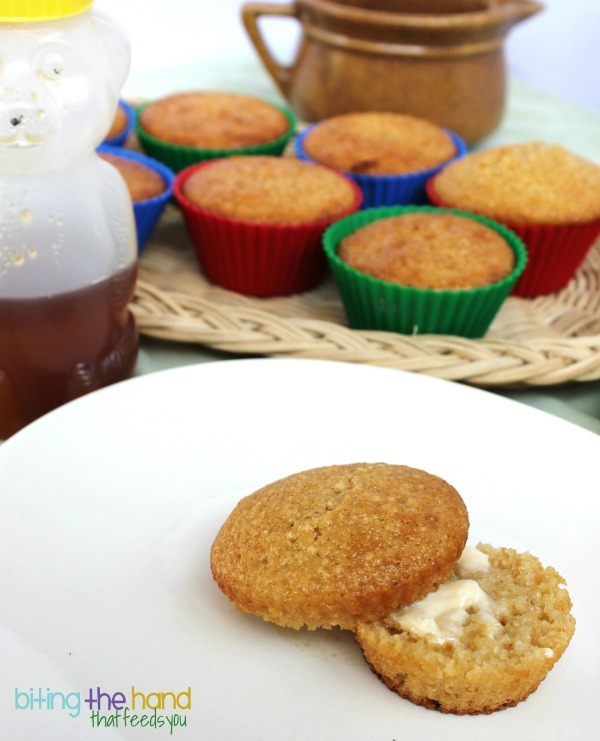 I made a batch of cornbread muffins as instructed for Hubby, then did a few simple substitutions to make a gluten-, egg-, and dairy-free batch for the girls and I. (A gluten-free flour mix with xanthan gum already in it, non-dairy milk, and I made ground flax egg substitute.) Both versions were voted yummy from their respective taste-testers! The book has some recipes and ideas that you may have seen on the MOMables blog or in the MOMables menu service, but here they're all in one convenient place! Plus there are so many more! Ideas for prep-ahead and grab-and-go breakfasts, making extra ingredients at dinner to repurpose for lunch recipes, using up dinner leftovers for lunch... So many ideas for making lunch prep quicker and easier! 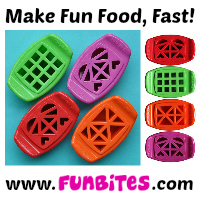 Laura even talks about where you can save money and where not to cut corners on grocery items! 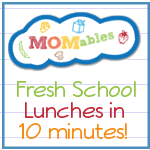 The Best Homemade Kids' Lunches on the Planet makes a great supplement to my MOMables subscription (which I subscribe to on my own dime, by the way!) for days when I don't have time to make the menu item(s,) or would have to make too many substitutions to make it gluten- and dairy-free, or even for something my kids just won't eat! Lunch ruts. I pack the same thing over and over because its easy and it is there. Lack of ideas is a big one. And I agree about the lunch ruts. I also have to watch being too "healthy" so the kids beside her don't say "eeww"'. I know neither of us should care, but it is a big deal if they tell her how gross it is to eat spinach leaves so she says not to pack them, she'll eat them at home. To be sure and pack at night so I'm not rushing in the morning. Lack of ideas, for sure. 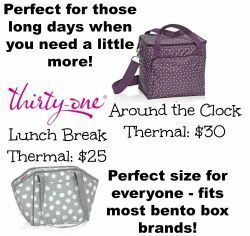 I would love to get in the habit of planing lunches on Sundays and doing some kind of prep. lack of time and ideas to make it interesting. 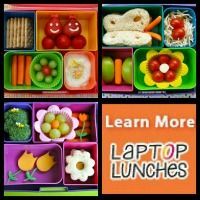 My daughter is starting kindergarten, and I'm not used to making her lunches that don't require a microwave! I realized the only two lunchbox-friendly ideas I had were ham and cheese sandwiches and peanut butter sandwiches. Since one of the kids in her class is deathly allergic to peanuts, I would feel bad sending PB&J sandwiches every day! I've been a little overwhelmed by the whole concept, and then I found the Momables Pinterest board a couple of days ago. I would LOVE to win the cookbook! My son is starting Kindergarten, too! He went to a lovely preschool that provided him with healthy snacks and home cooked meals for lunch everyday. I'm going to miss that place! While he's content to live on pb & honey sandwiches, I'd love to offer him more variety! Fingers crossed! Would love to have this for my 5 kids (especially 2 that are picky)! It's frustrating to have a picky eater, my son's lunch box comes home with most of his food untouched. Makes me want to have him buy school lunch everyday! Would love to get my hands on Laura's book! Gah -- sorry; I hit publish without thinking and FINISHING. I guess my biggest hurdle is remembering to do things in advance. My daughter is allergic to wheat, soy, citrus, peanuts and carrots. It is hard to be creative with such strict limitations. One of my biggest struggles is keeping the lunches diverse. I make lunches for my husband and he's ok with the same thing every day, but the whole reason I started making his lunches was because I was tired of seeing him eat the SAME THING everyday! Love your blog! And would love to try out this cookbook! Just talking to the kids this morning about brainstorming new lunch ideas for the new school year. This would be perfect! Running out of fruit my kids snarf it before I can get it in their lunches!